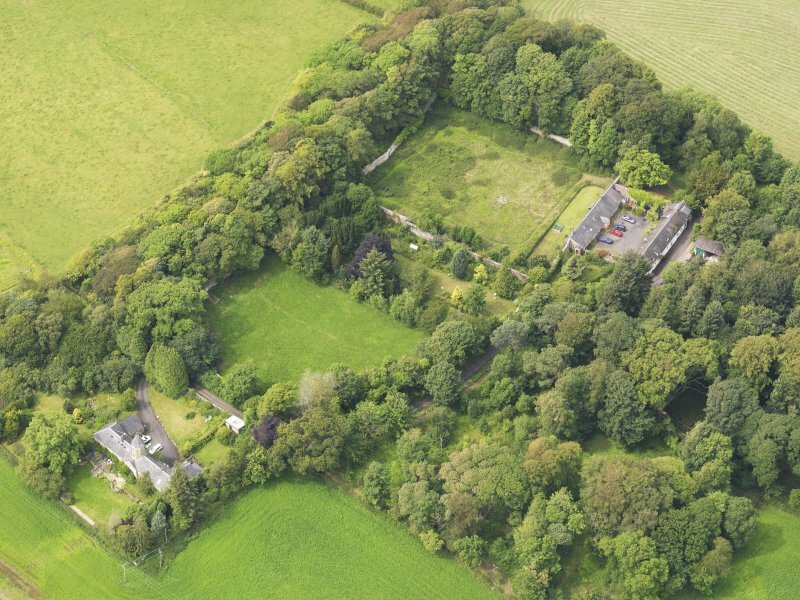 Oblique aerial view of Fairlie Mains and walled garden, taken from the ESE. 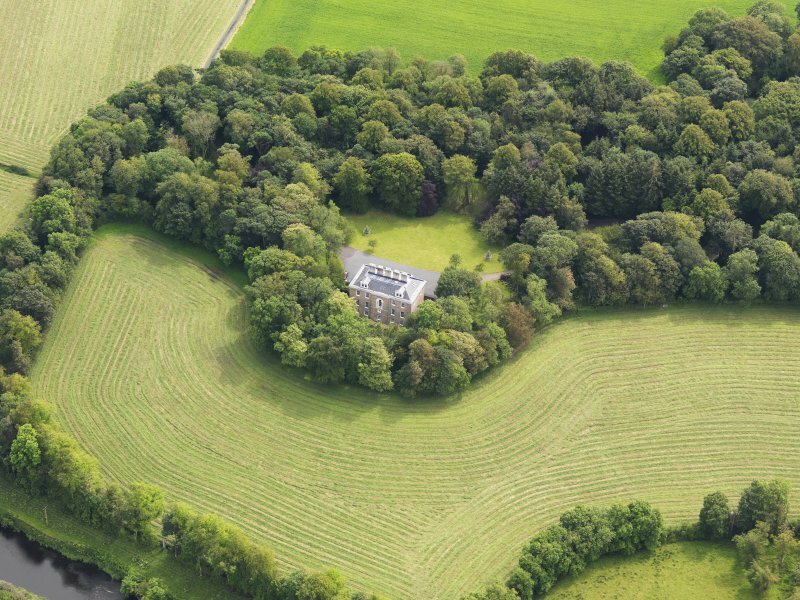 Oblique aerial view of Fairlie House, taken from the NNW. 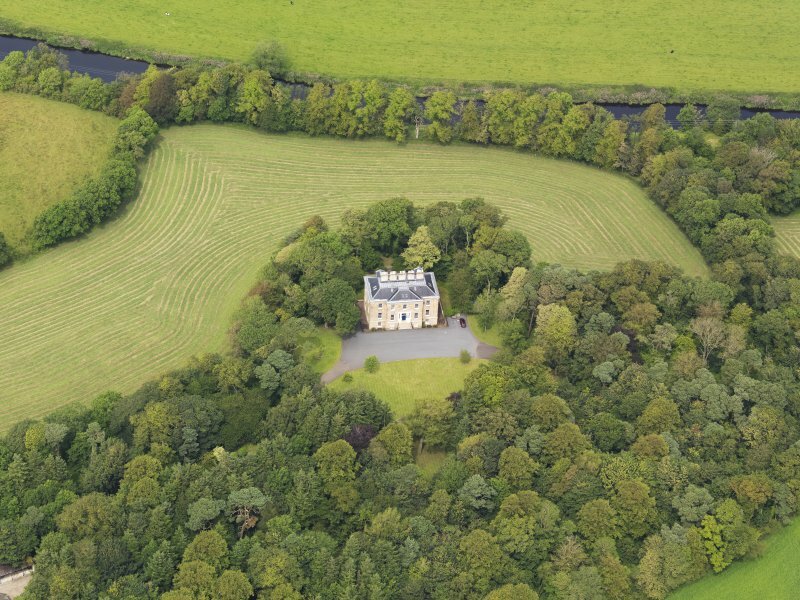 Oblique aerial view of Fairlie House, taken from the S.
(NS 3852 3596) Fairlie House, a rectangular Regency mansion two storeys high, was built about 1800. 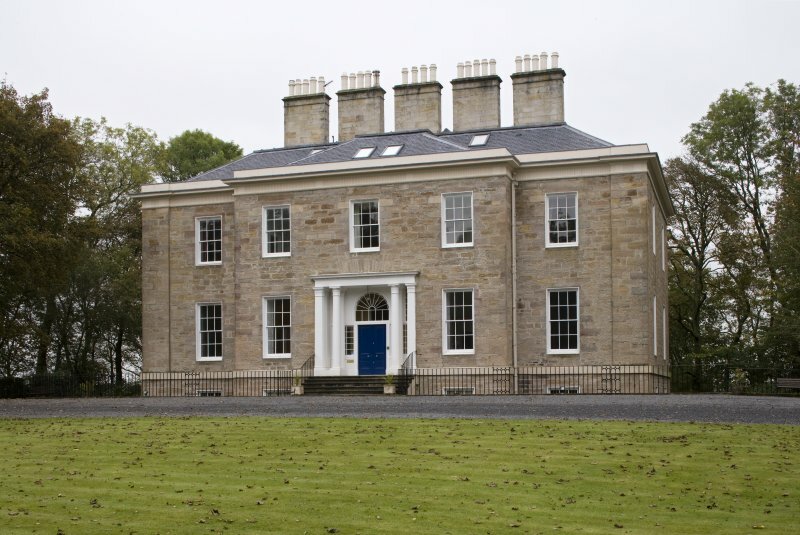 A private residence, as described and in excellent condition. No additions. Visited by OS (JRL) 1 June 1982. 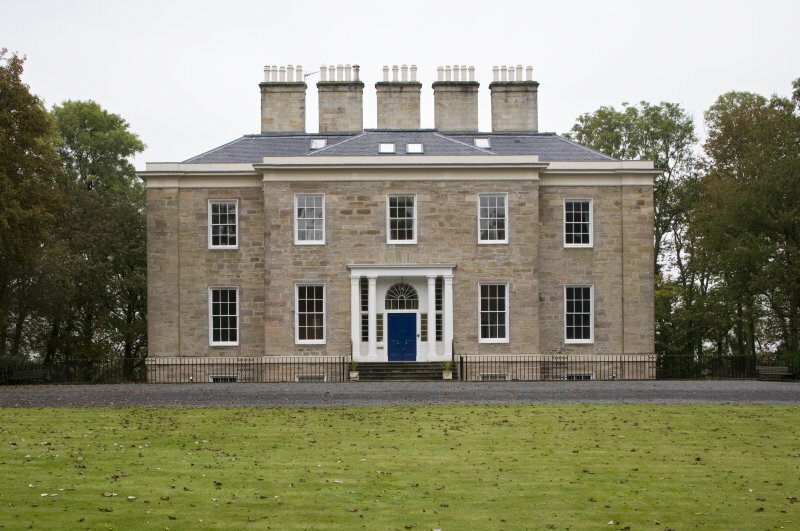 Built circa 1800 by Sir William Cuninghame-Fairlie. 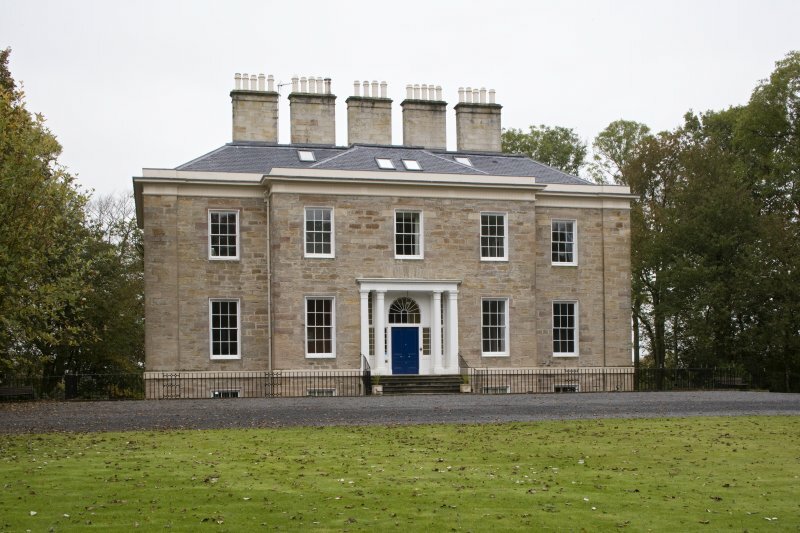 Photographed on behalf of the Buildings of Scotland series (2009). See also Arrathill & Ardrossan Kirk and Manse.